The DIY bride. She is someone who likes crafts. She likes to make things and likes to take classes in her free time. 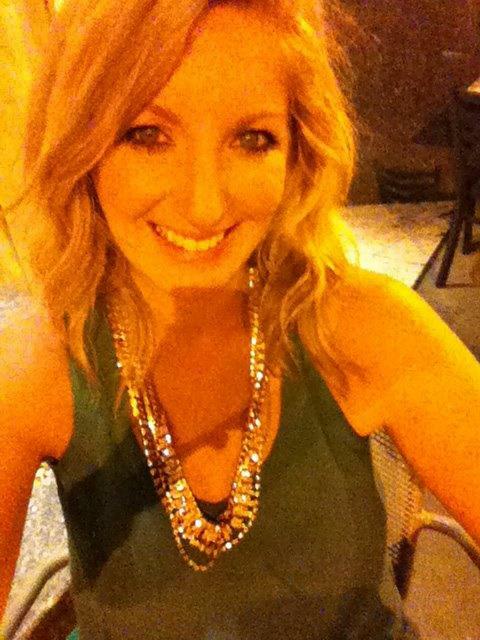 You all know her and you might be prepping a bachelorette party for a friend just like this. Or maybe you are trying to plan a bachelorette party that is more low key. You are looking for classy bachelorette party gifts or simple bachelorette party gifts that you can also use as activities to do on the bachelorette party weekend. We have created what we call our: flower crown party kits. These are great to have lined up and ready waiting for all the girls when they arrive for the bach weekend. They come in these cute pouches for each person's flower crown ready to make. 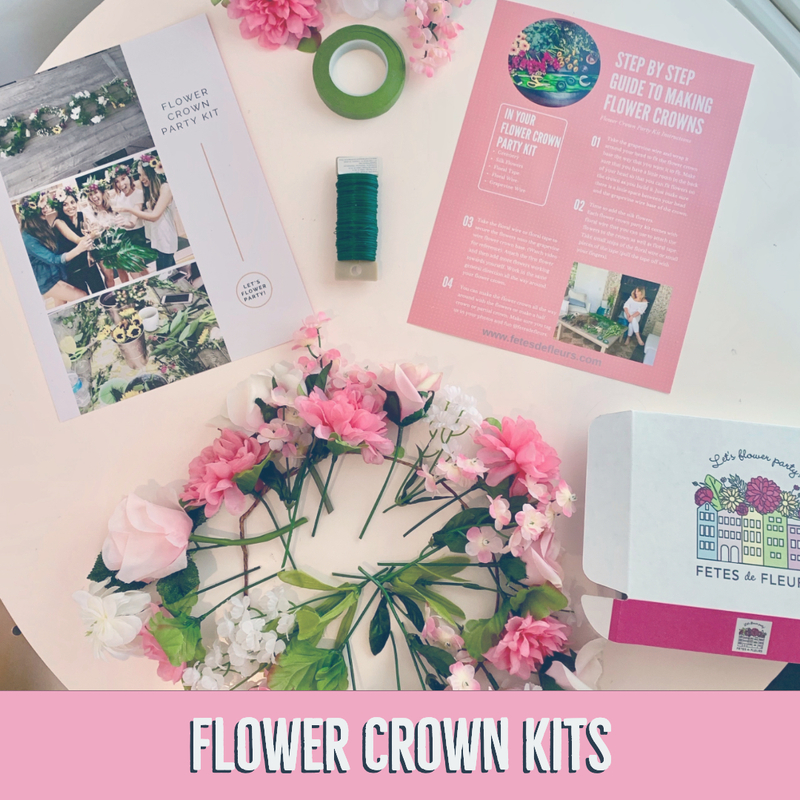 What is a flower crown kit? Please fill out the form here to let us know that you are requesting information about our flower crown kits. We will then send you over an email with all the details on how our flower crown kits work. 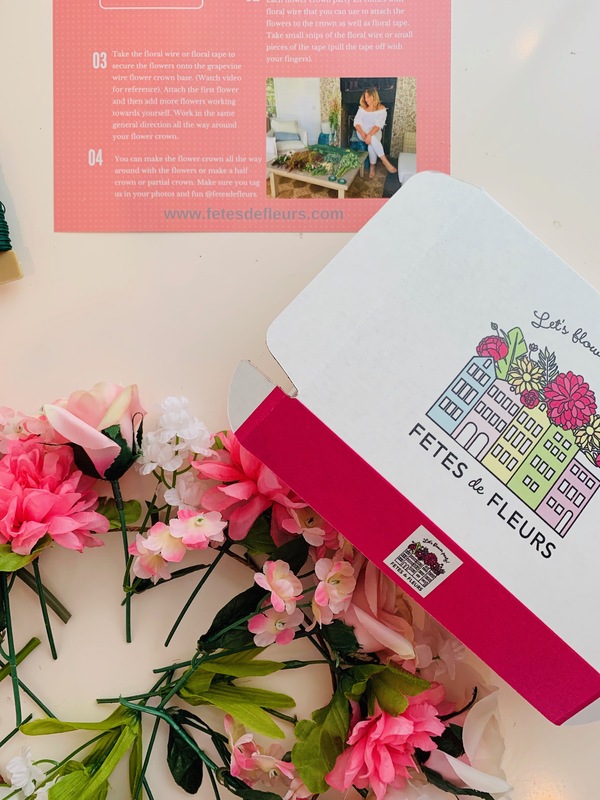 All of your supplies, greenery and flowers come in each kit - ready to go! Date the flower crown kits would need to be there by. Where they are being shipped to. So the POC and address that they should be mailed to. How many flower crowns are going to be made? Do you have any colors that you want us to source the flowers off of? For example- maybe you want all pink flower crowns or you want a combo or whites and yellow flowers for your flower crown party kits. 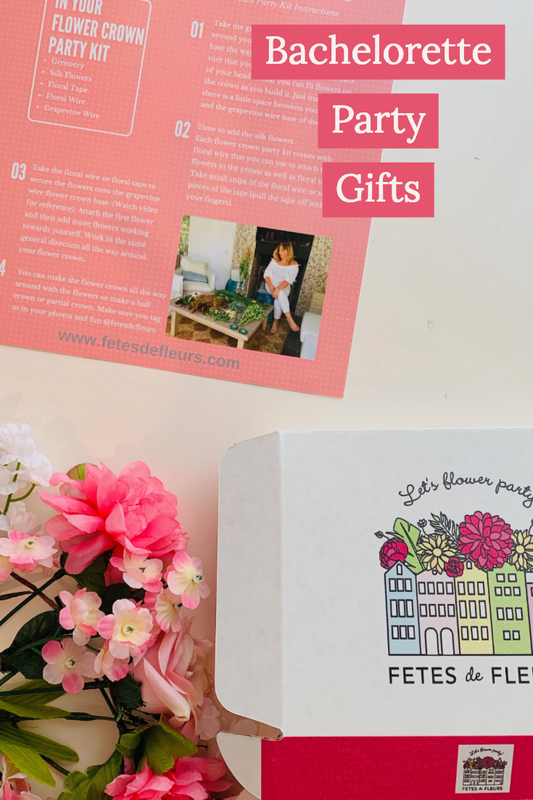 Just let us know in the form or in an email to ali@fetesdefleurs.com what you are requesting. 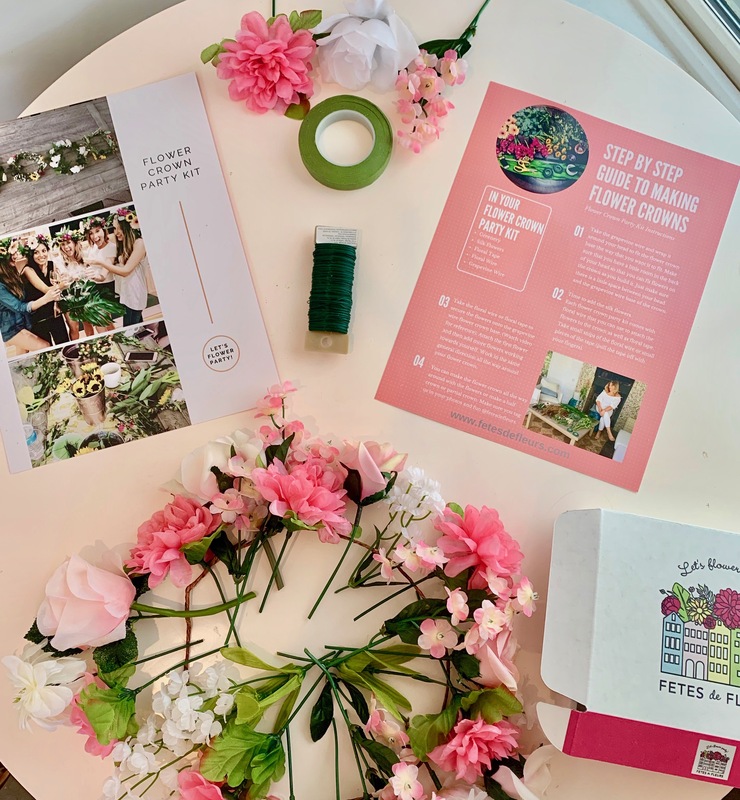 We use silk flowers and silk greenery for the flower crown party kits. That is because we are shipping these out and therefore we need the flowers to last. We promise you that silk flowers and silk greenery are just as cool and pretty as real flowers and real greenery. They also last FOREVER. So you can even wear there again for other celebrations leading up to the wedding. A lot of our bachelorette parties that do this option will wear these as part of the wedding party. 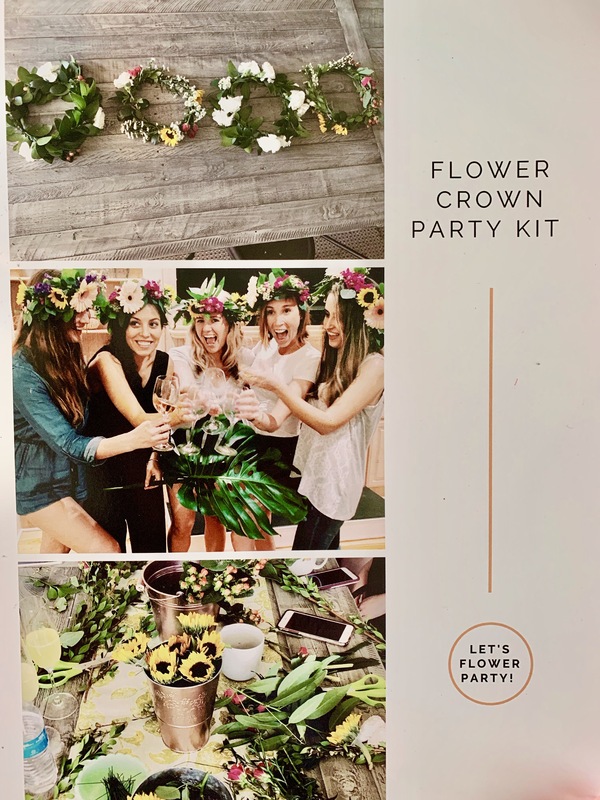 Feel free to send us photos or Pinterest boards of the vibe of the wedding or bachelorette party and we will try our best to source the flowers for your flower crown kits in line with the theme you have. How do the flower crown kits come? We used to put them in these boxes but have started to put them in these floral pouches. Makes it easier for us to add in more flowers and greenery for each flower crown kit. 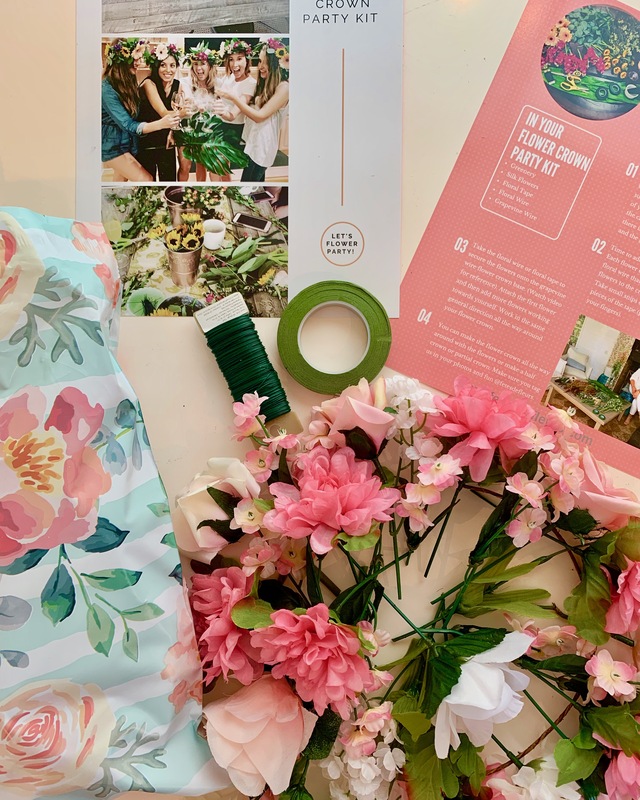 There will be a selection of flowers and greenery in each flower crown kit with instructions of how to make the flower crowns. We also send you a video tutorial on how to make flower crowns that you can use when you end up making the flower crowns over the weekend. What does each flower crown kit come with? Flowers for the flower crown in the colors you requested. Grapevine wire to make the base of the flower crown. Floral wire and floral tape for the group to use. Instructions on how to make flower crowns. 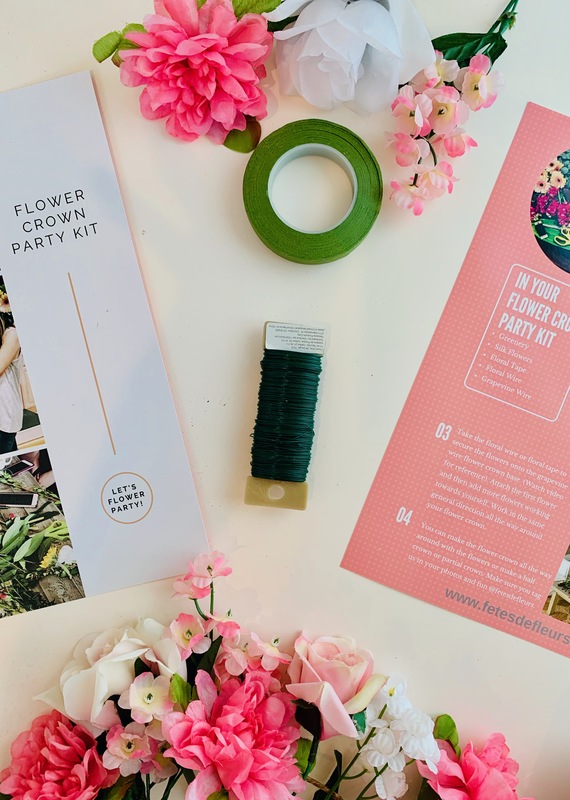 You will also receive an email with a link to a video tutorial showing your group how to make the flower crowns with your kit. If you have a group who is looking for something simple for a night in on the bachelorette party weekend this could be a perfect addition to the weekend. 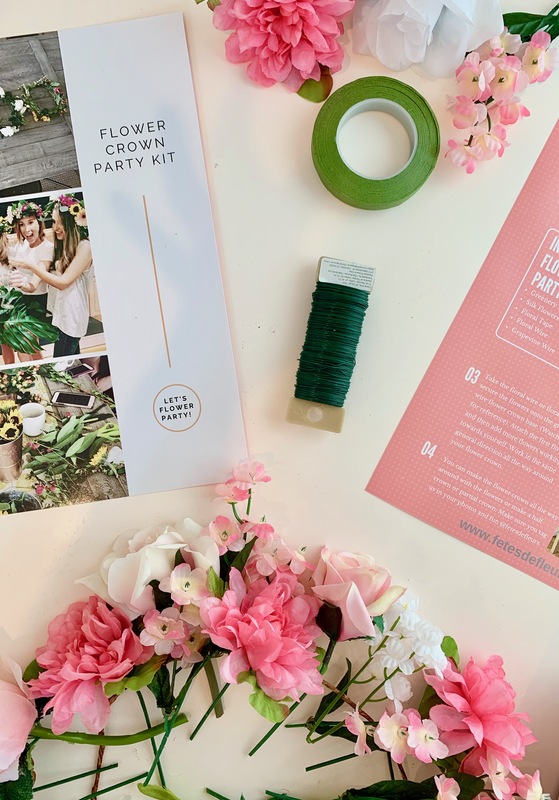 We love that this acts as an activity for the bachelorette party weekend that you can do at your airbnb or hotel as well as a bachelorette party favor that each person can take home after the weekend is done. Also, don't forget about all those cute photos you will be taking. Make sure you tag us in them so we can see your creations @fetesdefleurs. 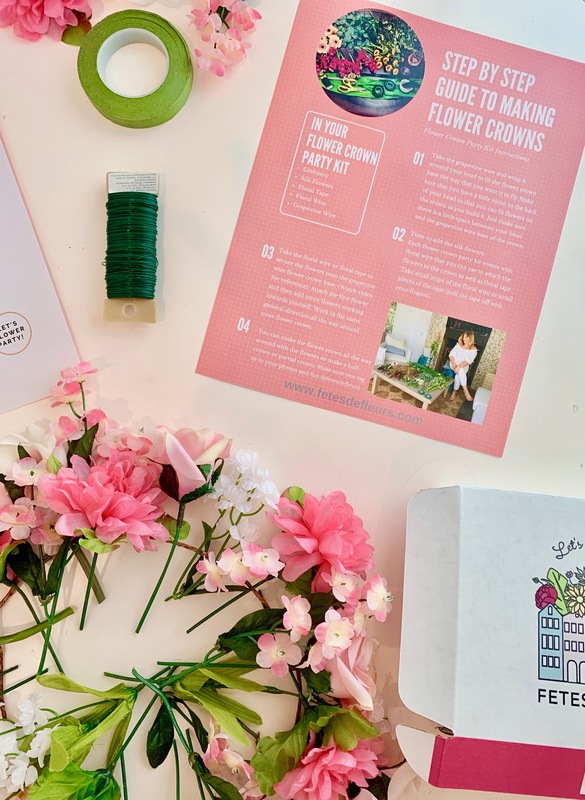 We can't wait to see what you make and how your flower crowns come out from the flower crown party kits.